Going through a divorce, being accused of a crime, getting injured in an accident – these are stressful legal situations. At the Law Office of Kathleen M. Hagerty, it's our mission to help families, individuals and businesses through the tough times to brighter days ahead. Whether your case is relatively simple or complex, we have the skills and resources to accomplish your goals. For more than 25 years, we have handled hundreds of cases, listening carefully to our clients' concerns. We give you the support and guidance you need to get through your stressful time, and we aggressively defend your rights from start to finish of your case. 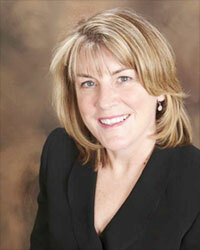 An experienced lawyer handling your family law, criminal defense and civil litigation matters. Attentive service – We can help you make the best possible decisions affecting you and your family now and in the future. Once we understand your specific situation, we can outline your options and review what we think will be the most likely outcomes. Then, together, we can map out a strategy to meet your goals. We practice the art of active listening, because we want to make sure we fully understand your issues and what you'd like to achieve through the legal system. We promptly answer your questions in east-to –understand language. 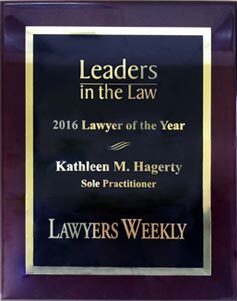 Extensive experience – As special assistant attorney general from 1991 until 1999, Attorney Hagerty acquired valuable skills and extensive experience from the prosecution's side, making her an even stronger defense attorney. Affordable rates and flexible hours – In addition to offering our clients competitive rates, we also offer a free initial consultation. Family law – We assist clients in family law matters, including divorce, child custody and support, visitation rights, and spousal support. Criminal defense – We defend clients charged with felonies, misdemeanors and traffic offenses. Civil litigation – We represent clients in business litigation and personal injury cases. Call for your free initial consultation and find out how our law firm can help you. 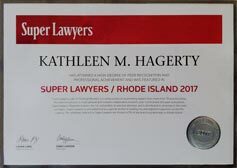 Call the Law Office of Kathleen M. Hagerty at 401-781-7200 or contact us online to schedule your free initial consultation.